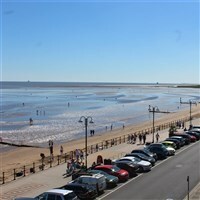 Youll be spoilt for choice when it comes to Cleethorpes attractions. Whether its live entertainment, white-knuckle rides, steam locomotives or history and heritage theres something for everyone. Whatever the weather, theres always something on offer all year round. Why not visit Cleethorpes Zoo? The Jungle Zoo is proud to be one of the newest interactive zoo attractions in the UK. Whatever the weather or your age, there is always something for you to see, learn, discover and do. The owners feel passionately all children should have physical access to animals in order to foster a better understanding of wildlife and the natural world around them. It is important the owners provide safe, knowledgeable care for all of the animals. They are proud to employ well-trained and highly-qualified keepers with a wealth of experience, knowledge and expertise at their fingertips.